The T-FLEX500 series is a small piece folding & stacking solution for large output requirements. With speeds of up to 2,000 units/ hr, it has been designed to keep up with the highest output requirements in its industry. 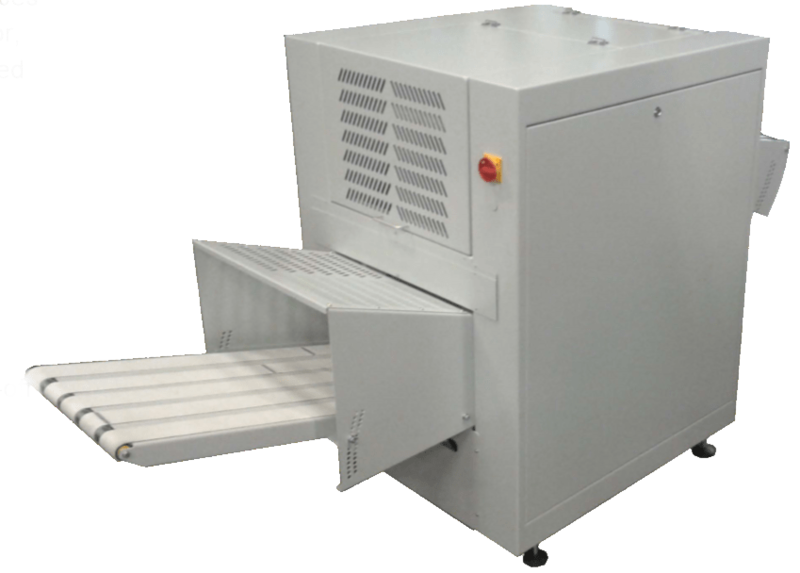 The T-Flex500 can be used as either a stand-alone unit, or it can be connected to packaging equipment, such as our L-sealer LS-56. The pieces are folded by means of a reversing belts in combination with an air-blast. By keeping the pieces confined between the two sets of transport belts, a high quality & consistent fold is achieved. After the folding section, the pieces are directed towards a high speed roll-off stacking system. As soon as the piece reaches its position on the slide, it stops and the slide is retracted. The retraction movement is carried out by 2 oversized cylinders and controlled by an intelligent linear encoder. This way, the movement is carefully monitored and controlled, ensuring a long operating lifespan. Pieces are collected on a lifting stacker. Once its preset stacking height is reached, the pile is put on the final collection belt. A couple of piles can be stored. As the speed and height of the final belt is adjustable, it is easy to synchronize with any external packing machine. The T-Flex500 has a PLC based control system and a color touchscreen. Creating or changing a folding program is very simple, due to operator-friendly layout and simple menu settings. The T-Flex500 can be connected to a conveyor conducting back to the operator. This can be single items or stacks. 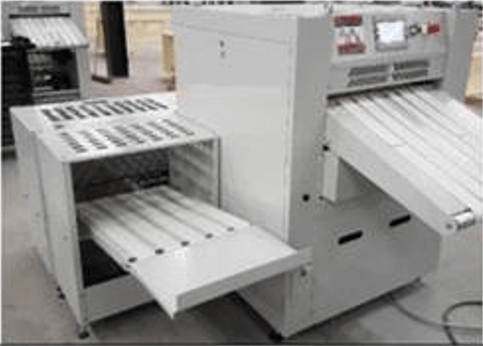 In other cases, the T-Flex500 may be connected to a fully automated bagging solution, as well.